So anyone who knows me knows that I'm a post apocalyptic guy. 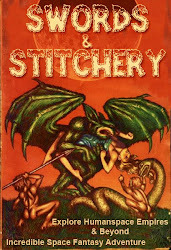 I've known Thom Wilson of Thowi Games has been quietly plugging in away locally for years on OSR. His stuff is some of the best kept secrets in the gaming community. Now he's diving in deep into the vaults & bunkers of the post apocalyptic OSR fanzine scene with his latest Kickstarter. With adventures like A Dish That Serves No One for Gamma World first edition that they've been testing out at various Cons. I've been quietly keeping an eye on Thom & co for years now. But he's just thrown his hat into the ring with a post apocalyptic fanzine called Gamma zine. Because this is for Gamma World first edition I'm really pumped to see this kickstarter follow through. 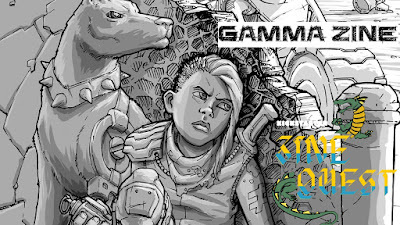 With the release of Gamma World 1st edition by Wizards of The Coast through Drivethrurpg the time is ripe for Gamma Zine to come into its own. The advantage of first edition Gamma World is that its perfectly suited for Advanced Dungeons & Dragons first edition. 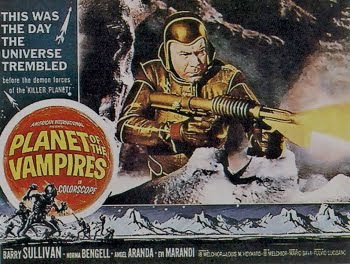 It also means that adapting classic modules such as 'Famine in Fargo' & 'Legion of Gold' are once again on the table. 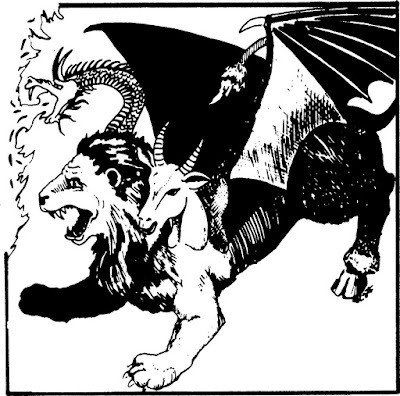 And it also means that the classic Advanced Dungeons & Dragons 1st edition Monster Manual & Fiend Folio are perfectly suited to introduce the horrors of AD&D to your version of Gamma Terra. While this isn't new information on the OSR scene, a fanzine to help to support the Gamma World first edition would be a welcome add on to the post apocalyptic market. The venerable Gamma World game is a classic for a reason this helps to add yet a bit new life to our hobby in my humble opinion. 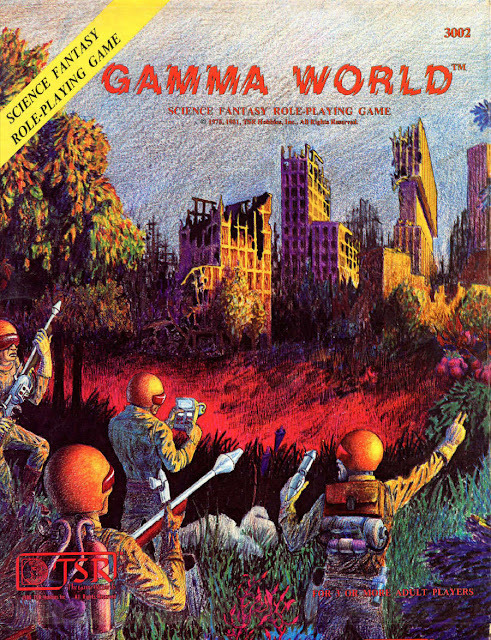 So do I think that Gamma Zine is going to be something for the Gamma World fans to take a look at & support? In an irradiated word, yes!